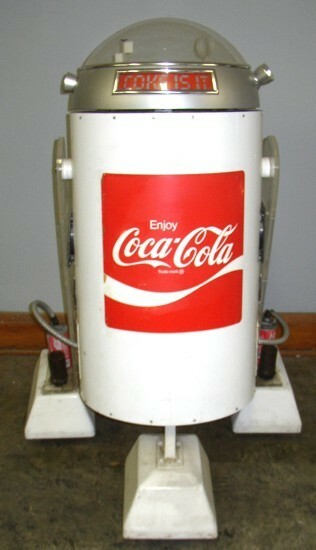 This Coca Cola Robot is in good used condition. It is about 4.5 feet tall. It is not working but comes with manual and accessories.